The Dow Jones Industrial Average fell 81 points Wednesday, amid renewed fears of more U.S. tariffs on Chinese goods. 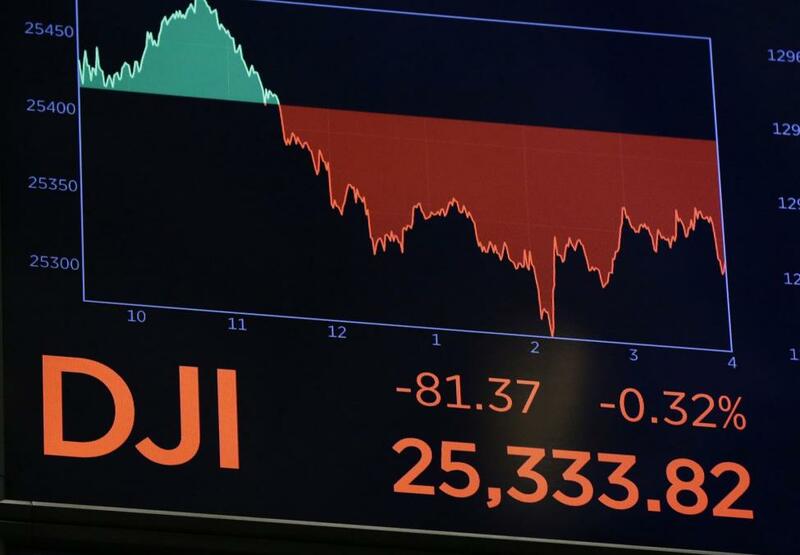 The Dow Jones dropped 0.32 percent to 25,333 at the end of closing Wednesday, with Caterpillar dropping nearly 4 percent and 3M falling 2.5 percent, as The Wall Street Journal reported some administration advisers urged President Donald Trump to sharply increase tariffs against China. The S&P 500 also declined 0.1 percent to 2,813.36, with industrials falling more than 1 percent. [post_ads]A nearly 6 percent gain by Apple helped the tech-heavy Nasdaq Composite increase by 0.4 percent. Despite its overall decline for the day, the S&P experienced 0.8 percent growth in the technology sector, also fueled by a strong day of trading for Apple. Tech stocks bounced back Wednesday after poor performances by Netflix, Amazon, Alphabet and other tech companies contributed to declines in the Dow Jones, Nasdaq and S&P 500 on Monday. The Federal Reserve decided Wednesday to leave interest rates unchanged after concluding a two-day meeting on monetary policy. Government-bond prices also fell, sending the yield on the benchmark 10-year U.S. Treasury note up to 2.997 percent from 2.964 percent on Tuesday.